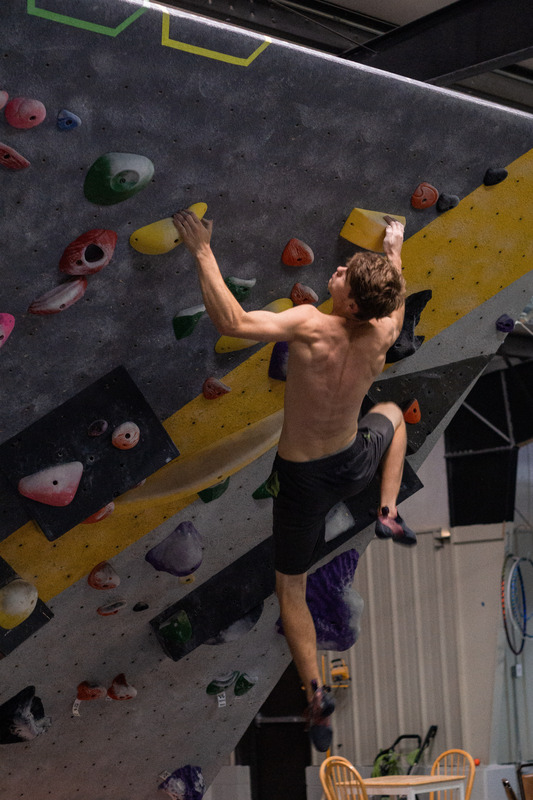 On February 10, at Deschutes County Expo Center in Redmond, Oregon, Elijah Kiser won Bouldering Youth Nationals. We reached out to pick his brain and figure out what’s next for this young gun. The 18-year-old from North Carolina may not be a household name yet, but he is certainly an up-and-comer to keep an eye on! Congrats on winning Youth Nationals! What was it like? Thank you! It was a little bit strange! There is an awesome energy at Nationals and a lot of really supportive coaches and athletes. I wasn’t at all stressed about placement so the whole thing was just fun with friends. My only real goal was to make it past qualifiers because I didn’t last year. I think the lack of any expectation beyond that really helped me to focus, try hard and enjoy the climbs. I learned a lot, including but not limited to: don’t get injured climbing bridges the day before qualifiers, and remember to eat. I was very pleased to finally climb like myself in a competition, and winning is a nice icing on that cake. Throughout the whole thing, I felt really supported by the squad that came with me from Boone, North Carolina, especially my 10-year-old teammate, Zoe, and coach Jeffery, who both yelled the loudest. Also, there was loads of support from the Boone community back home. For as long as I can remember I have been scrambling up things. Everything from houses and barns to playing freeze tag in trees, in the dark, while its raining… which is maybe not the safest version of the game. My first real climbing experience was in 2015 on an artificial sport climbing wall in Boone. 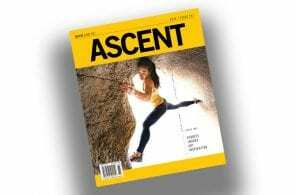 About a month after trying sport climbing for the first time, we checked out the newly opened Center 45 Climbing and Fitness, Boone’s first climbing gym. Me and my brothers instantly bought a membership. A few weeks later we were bouldering three times a week. 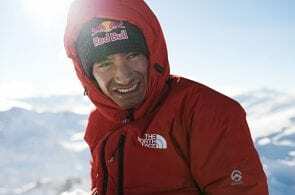 What is your life like aside from climbing? Crazy! I am the second of seven siblings (all of whom climb). That’s five brothers, a little sister. We have all been homeschooled by our mother, but the last few semesters I’ve also been duel enrolled at Caldwell community college. I love to write and am currently working on both a novel and an album of original songs. In addition to setting at Center 45, I work at Hatchet Coffee, Boone’s one-of-a-kind coffee phenomenon. How much time do you dedicate to climbing and how do you balance it with everything else going on? My parents have had very good advice on this and I have been smart enough to listen. My time is divided between things that I love doing, so it’s easy to split but hard to choose how much time each thing gets. I try to allocate a responsible amount of time to things. My motivation is to spend all of my different abilities well. I have an average of four gym sessions per week, each somewhere around four hours. Almost all of that is on-the-wall training, but I do some weight lifting one night per week. 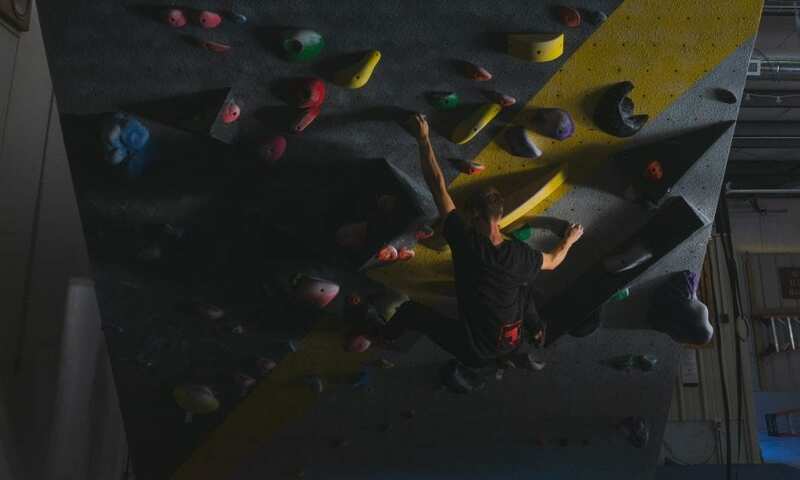 In the end, I think not focusing solely on climbing makes me better at it because I enjoy every session. 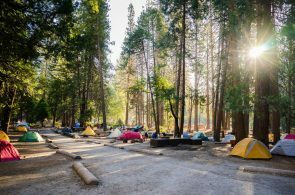 What is the best part of climbing for you? I love the energy of competing, competition-style climbing and everything that comes with trying flash problems you’ve never seen before. But projecting is by far my favorite part of climbing. The process of figuring out how to execute movements, whether it takes minutes or months, is fascinating and enjoyable to me. In other words, I like getting on top of a boulder, but I like it more if I fall off a hundred times first. For me it’s not about ticking boulders, its unlocking problems. 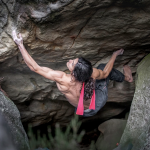 Would you say that you have a “style” of climbing? I think my style is to climb very intuitively. I tend to jump first and think later, avoiding static movement when I can. 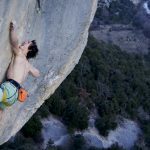 What are you strongest and weakest in, in terms of climbing? I am strongest in my fingers and I’m pretty coordinated. My weakness is in my core tension and pure pinch power. Anything powerful or athletic is probably something I’ll like! 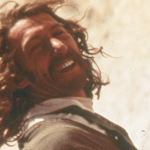 What would be in your competition climbing highlight reel? Probably all the times I have fallen on my face, or missed a scored hold. Those would be funnier to watch, and more motivational! My brothers would say all the times I dyno-ed through the intended sequence. 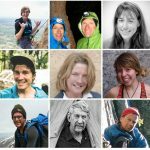 What goals do you have for yourself, both climbing and non-climbing related? 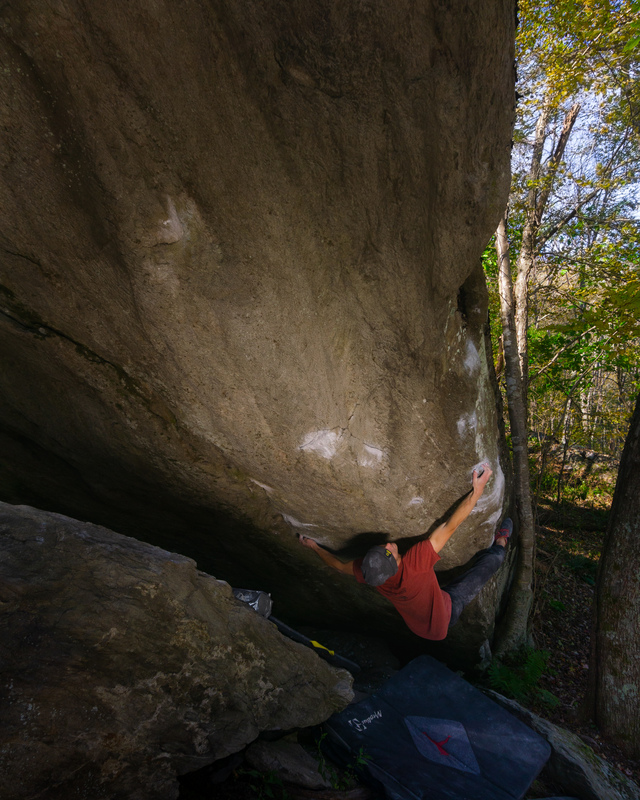 Due to wet weather in Boone I wasn’t able to climb outside a lot this session. At the next available dry/cold spell I want to try something that really tests my limits. 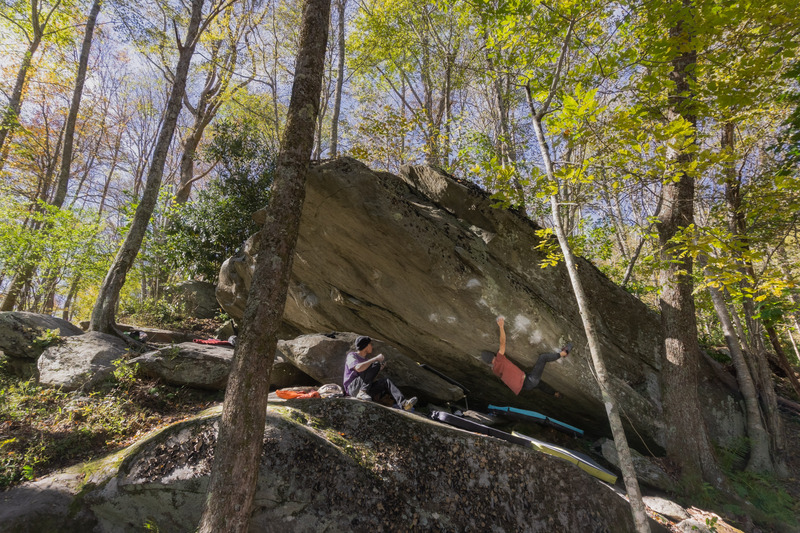 There are a few specific boulders I have my eye on here in Boone, as well as elsewhere. My life goals are of a different nature. As the wisest man once said, “To whom much is given, much is expected.” I want to spend my opportunities well. That’s what I want to continue to do in life. 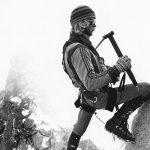 What are your proudest accomplishments, both climbing and non-climbing? Winning youth nationals is probably my proudest climbing accomplishment. General life is different than climbing in the sense that its harder to pick out specific moments. I guess I could just say that I am happy about the direction I’m headed. Rest! I am trying to recover from climbing non-stop, and some minor finger injuries. Once that’s done, I’ll start training again and try to experience more setting styles as preparation for the Youth World’s Bouldering Championships, in August. The New and Improved Miguel’s Pizza is Ready for Springtime in the Red!